I am currently preparing a test dataset for a SharePoint WebPart to see how it scales on a customer SharePoint 2010 environment. The problem I faced here was that the environment is protected by Citrix Netscaler and every CSOM call was ended with a lovely exception. So CSOM correctly stops - oldy but goldy, right? Once the SSL challenge is accepted, we have to take care of the authentication part. 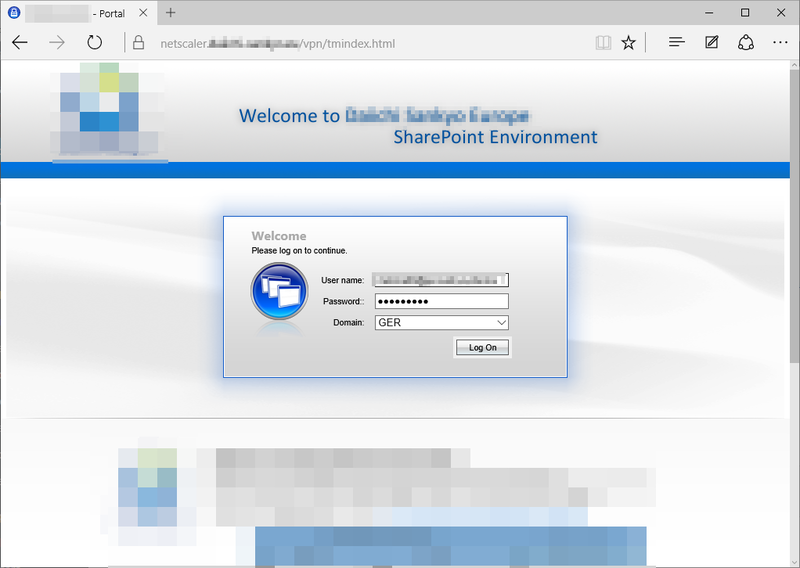 I have done something similar for ADFS were you emulate the authentication (basically you grab the cookie once the authentication happened and reuse it for the SharePoint CSOM). 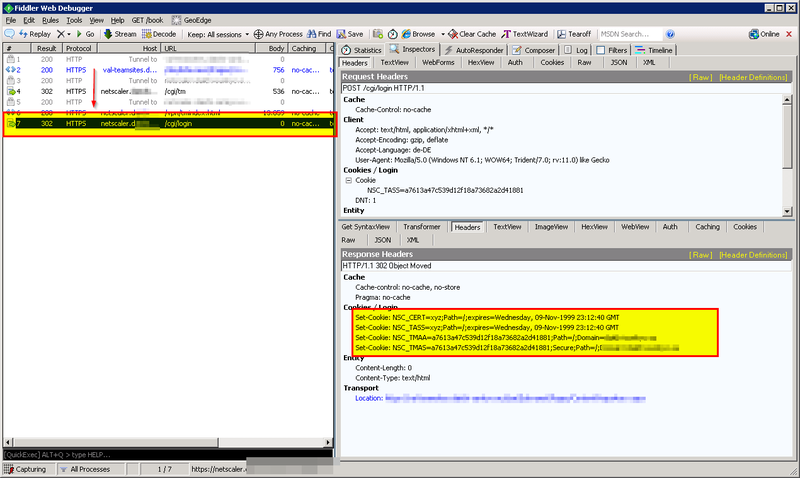 On the left you can see the 302 redirect to a different domain. Once I provided the login credentials it sets 4 cookies. //Host: 123.yourdomain.com - the (sub-)domain must match or the cookies will not be sent! 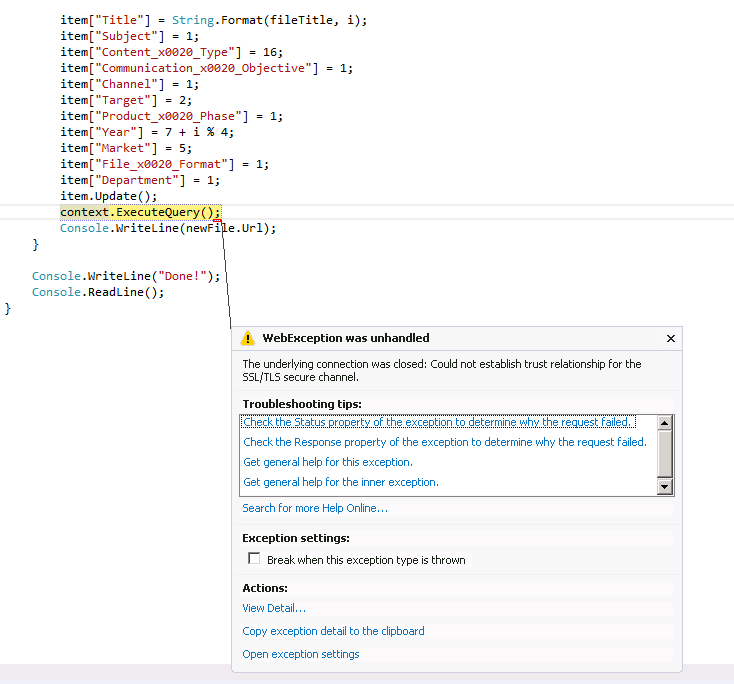 This code is then executed when “ExecuteQuery” is called - and the cookies are set once. With fiddler you can verify the cookies are used then. The approach above of course only works for a session lifetime - after expiration of the cookies, CSOM can’t connect. The code could be expanded to grab the cookies with the first call or after expiration - but for my test data single purpose code that’s apparently out of scope. Hopefully this post saves somebody some time!